For All You Cheese Lovers Out There! 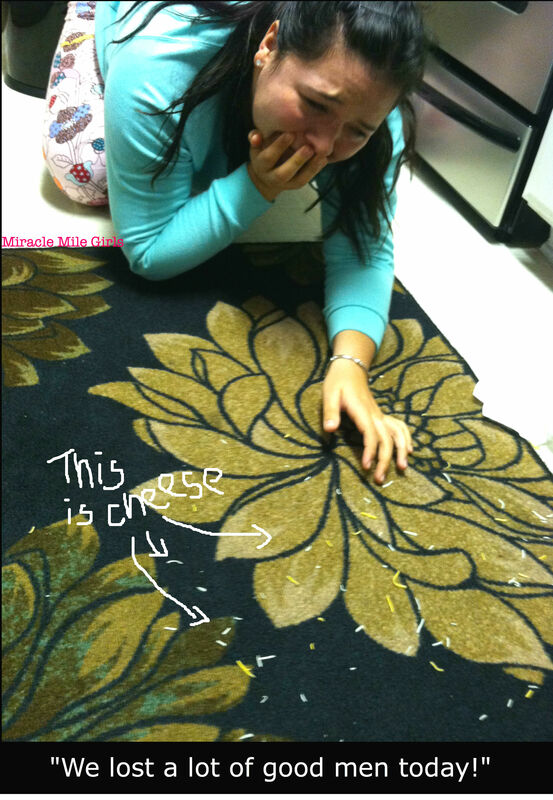 It was a battle between gravity and a flying bag of shredded cheese. Gravity won. If you liked this article, don’t hesitate to subscribe to my posts via email! Miracle Miles Girls is about figuring out the method to the madness of life – one post at a time – and inspiring others along the way.